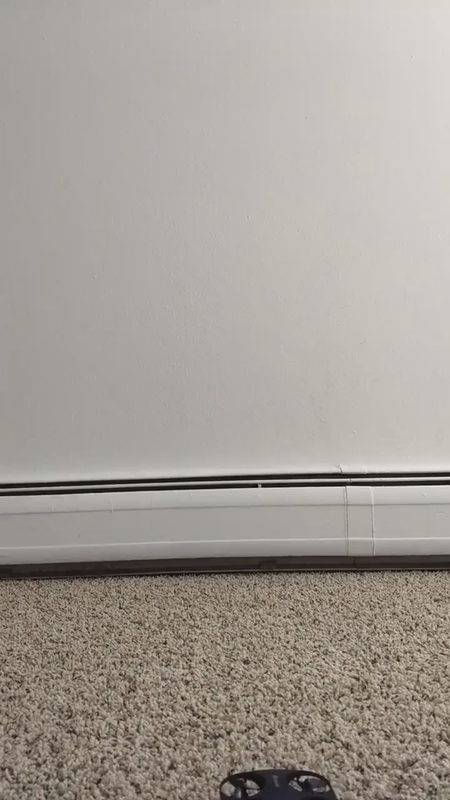 My son loves the mini drone very much. He said it’s hard to believe that a mini drone like this can have a 720P HD Camera, and also with Wi-Fi real-time transmission FPV system. Also he likes the hand tricking function and Throw&Go Mode. He had a lot of fun with the drone, I am very happy to see that. Recommend to buy for kids above ten, so they can take full advantage of all the functions of the drone. This drone small but looks great and is very very easy to control, it is one of only a few drones that have optical flow tech which is so stable and does not move from its hover position. Setting it up is quiet simple and easy. The drone comes with a rechargeable batteries. 4 extra blades, a strong remote control, a USB adapter which can connected to any normal phone charger and the other side can be connected to battery. A paper manual which is really easy to understand and a mobile holder so you can install your phone on the remote. The remote takes 4 AAA batteries which are not included. I love this drone so much as it can go to good heights and capture some amazing view, small drone but very powerful, smooth flying and quiet. 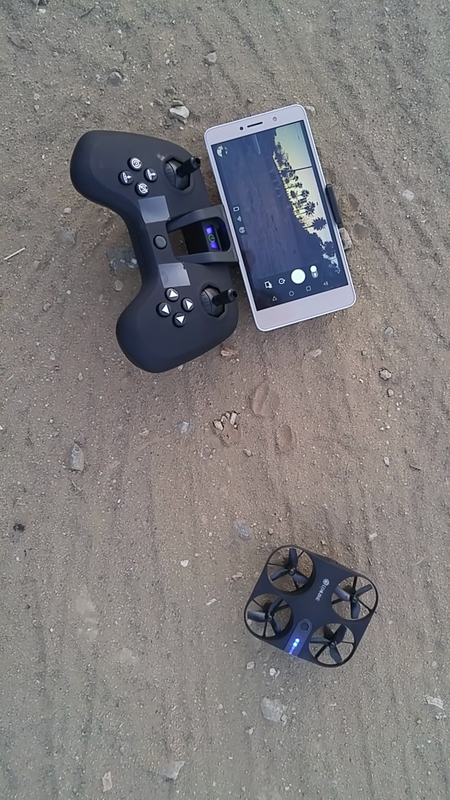 I can mount my mobile to the controller with the mobile mount and setup my mobile easily with the app, so I can view what the camera on the front of the drone can see, the quality of the video that the camera streaming to my mobile is decent. I also love the way that it has blades located inside the unit as protection, unlike others have blades at the open ends which easily to be hit and broken. Overall, wonderful experiences. Out of the several drones, I have flown, this is one of the best. Although it's pretty small like in the picture below its controls are very straightforward and very responsive. What makes this drone unique is the stability on it. Usually many drones react drastically and lose control and stability the faster it goes but this drone has several systems that keep it stable including optical sensing and gyroscopes. Although I wished the app can handle the gyro-phone controls, i'm still happy with the rest of the control like hand motions although i would have liked it to be a little more responsive. The phone control is pretty well too and the camera on it is very high def. Overall an easy 5 stars!
. The only problem is i can only order one at a time on Amazon and I need 10 for a youth program.